Donald says, “In my role, working with our Academic clients and candidates, I enjoy finding successful new candidates and appreciate the effect a successful placement has on their future career. I also enjoy working with my recruitment colleagues and using my experience to be of help in contributing to further colleague’s skills/experience. At Inspired, we are very much a team, with a team focus on how we recruit permanent and temporary candidates for the large variety of publishing roles received from our clients. Verity says, “I am not a teacher but I am in awe of teachers, and I do so love Education and how it can change people’s lives. Education is my area of specialism in my job, and is the reason I love to #workinpublishing. It gives me great satisfaction being able to make an impact on the Education sector by helping EdTech companies, Educational Publishers or other types of learning organisations find the expertise they need to be able to ensure they are creating products and services that are useful to teachers and learners. And vice versa, I love being in a position where I can open the eyes of Education professionals to the host of opportunities available to them in the Educational Publishing space, and enjoy guiding them to the sort of roles into which they can transfer their skills and experience." 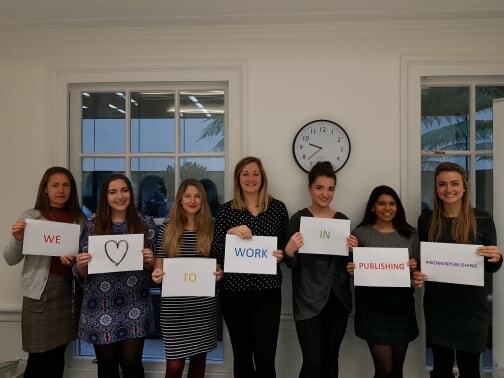 From all of us at Inspired Selection, very happy #WorkInPublishing Week!